Local elections take place across the North West of England on Thursday, with seats on 25 councils up for grabs. At the moment, Labour dominates local government in our region. Is anything likely to change, asks political editor Kevin Fitzpatrick? If there's a story of national significance to come out of the local elections in the North West on 3 May, it will be the Conservatives losing Trafford, their flagship northern council. While it has been run by the Tories since 2004, they only have to lose two seats in order for the council to be under no overall control. That's why the borough has been inundated with visits from high-profile politicians in recent weeks. 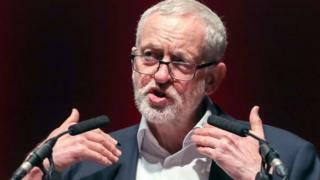 Labour leader Jeremy Corbyn launched his party's national campaign in Stretford, while Prime Minister Theresa May has been in Sale for a final-week visit. Incumbent governments usually struggle at local elections so Mr Corbyn needs to do well to show Labour is appealing to voters beyond its traditional heartlands. While taking Trafford would be a major scalp, tough questions will be asked if it stays true blue. Labour already controls 21 of the region's councils holding elections this year, and none appear under serious threat. Making noticeable gains will be hard though. The party already also leads Pendle and Stockport councils with no overall control, so it's aiming to tighten its grip on both. Elsewhere, there are concerns among Labour activists that it could lose votes in Jewish areas in Bury and Salford over alleged anti-semitism within the party but again, keeping control of those councils isn't really in doubt. In addition to keeping hold of Trafford, the Conservatives are hoping to make gains elsewhere. They only need two more councillors for a majority in Pendle, while they're targeting Rossendale and West Lancashire from Labour. What of the other parties? The Liberal Democrats, once a major player in local government in the North West, are hoping to beat Labour to gain overall control in Stockport. The party also sees opportunities in Labour-run Rochdale, a former Lib Dem stronghold, after recent controversies over the former leader being accused of lying at the national child abuse inquiry, and the current leader being recorded suggesting he might withhold road repair funds in wards where his party performs badly. The Greens are optimistic about this being a breakthrough election. They're fielding more candidates in the region than ever before and believe growing concern about development on greenbelt land, and a greater awareness of environmental issues more generally, could see them win seats in places including Trafford, Burnley, Knowsley and St Helens. As at last year's snap general election, former UKIP voters could be crucial to determining finely balanced contests. In 2014, the last time these council seats were up, the party had its most successful local election to date, winning 16% of the vote and securing its first councillors in the North West. This year, though, UKIP is standing just a quarter of the candidates it did four years ago, and has no presence at all in many boroughs. In some areas it's the smaller parties who're hoping to make an impact. Tapping into apparent discontent with the more established parties, new party Farnworth and Kearsley First in Bolton won their first by-election last month and are standing in three wards this week. Elsewhere, in Halton a number of candidates are standing on a ticket of opposition to tolls on the new Mersey Gateway bridge. It's not going to be a local elections full of surprises but some interesting stories could emerge when the votes are counted. Trafford, though, is the result that will make the headlines if power changes hands.